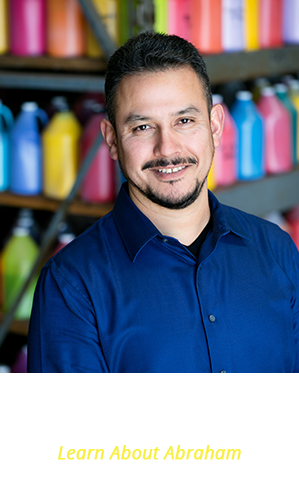 Rick Duarte is the senior chemist, formulator and general manager of Pro ColorFlex Ink Corporation. 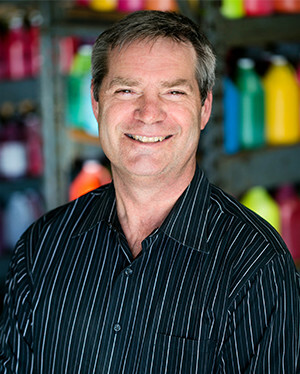 Rick worked in the industry as a technical manager for 15 years before founding Pro ColorFlex in 1997. Rick provides overall strategic direction for Pro ColorFlex, oversees operations, heads R&D, handles technical sales and is responsible for regulatory compliance. Pro ColorFlex provides technical expertise and rapid response to our customers’ needs, from same day color matching and manufacturing, as well as ongoing R&D for special projects and applications. Every Pro ColorFlex product is backed with technical service delivered by industry experts who listen to your needs and care about your business. Continuous product improvement and development, consistent quality and total customer satisfaction are the goals of every Pro ColorFlex employee. 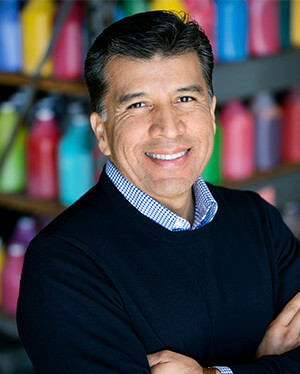 Abraham joined the Pro ColorFlex team when the company was founded in 1997. He is responsible for all aspects of daily operations, including oversight for the lab, quality control, inventory management and shipping and receiving. Abraham’s strength is building trust and teamwork to solve difficult problems and get results. 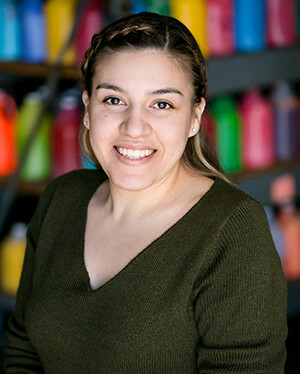 Jaymi manages Pro ColorFlex Ink Corporation’s business operations, including accounts payable, accounts receivable, product pricing, order processing and customer relations. 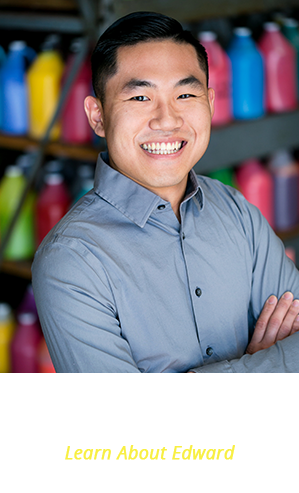 Prior to joining Pro ColorFlex in 2013, Jaymi worked for a national auditing firm for 19 years. 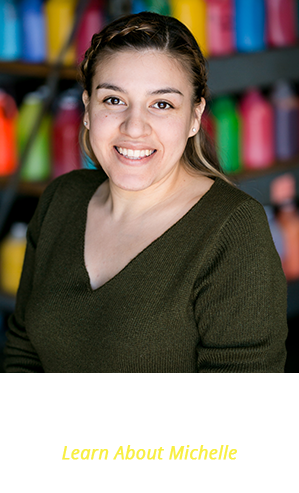 Jaymi is known for her positive, upbeat energy, attention to detail and ability to problem-solve calmly during a printing emergency. 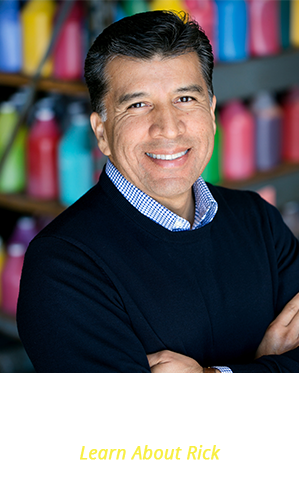 John is the head of sales for Stewart Superior Corporation which partners with Pro ColorFlex to develop and sell rubber stamping and craft ink products worldwide. 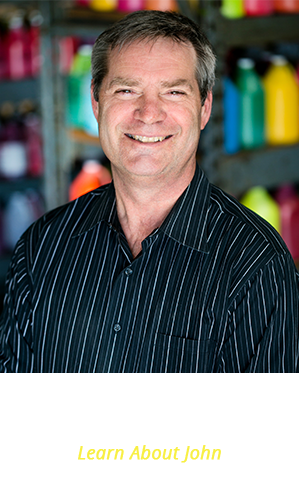 John has held sales, marketing, product development and management roles since his start in the industry in 1981. 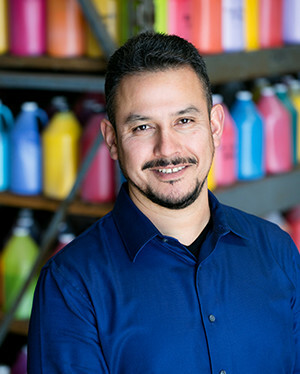 John draws on extensive product knowledge as he collaborates with customers and Pro ColorFlex to create new inks and update and extend existing product lines. Ricardo is in charge of inventory control and shipping and receiving. 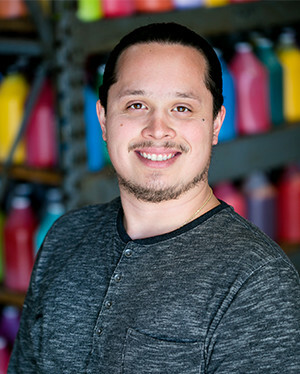 Ricardo joined the Pro ColorFlex team in 2016 and is responsible for conducting weekly physical inventories at customer locations, helping customers maintain appropriate stock levels and researching the most cost-effective shipping options for each order. Michelle manages day-to-day lab operations, including quality assurance. 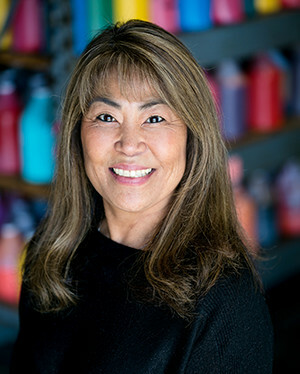 She formally joined Pro ColorFlex in 2012 after growing up around the ink manufacturing business. 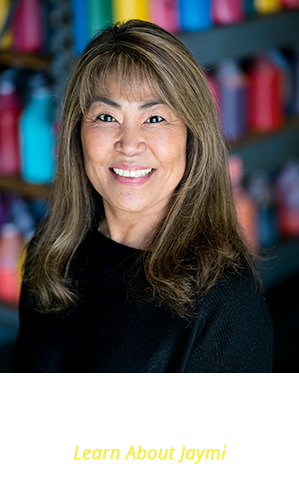 From the start, Michelle has demonstrated impressive technical aptitude and leadership skills, including the ability to see and match color, write and adjust formulas and train and manage staff. 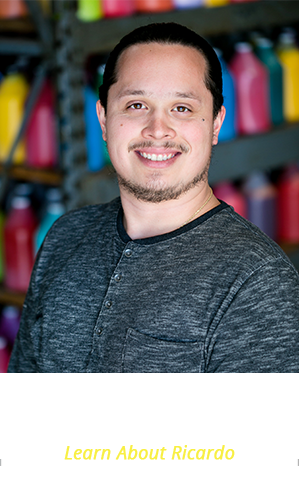 Edward is a key member of the technical team that creates new inks and provides quality control for the manufacturing process. 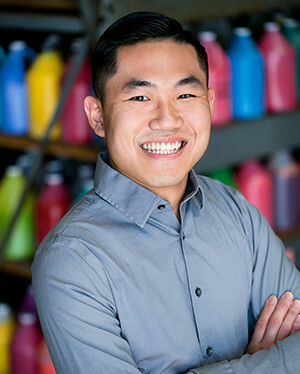 After joining Pro ColorFlex in 2013, Edward quickly acquired color theory, color matching and ink trouble-shooting skills to meet Pro ColorFlex’s high quality standards.